Evernote, my go to app for notes, materials, project management, and so much more, has gotten some great new updates recently. I have been a long time user, using it first for notes, lesson plans, collecting resources and research, contacts, project management, a digital file cabinet, and more. I continue to use it that way, but these new updates and features have made it even more useful and powerful. It is especially powerful for teachers, students and administrators - lesson plans, lesson resources, lesson materials, class notes, notes on students, class work, schedules, teacher evals, etc. All in one place, accessible anywhere, anytime, on any device. 1. Updated interface and design - the interface, especially on the Android, iOS and web apps has had a major makeover with a cleaner look. It makes it easy to find what you need, but gives you a cleaner layout when working. 2. Work Chat - start a chat with a coworker right inside of Evernote - no need to go to another app. Ask questions, work on projects together, share info. 3. Context - as you work and type in Evernote, it will search things like the Wall Street Journal for information and articles related to what you are working on and show them to you. Don't want it, just ignore. 4. 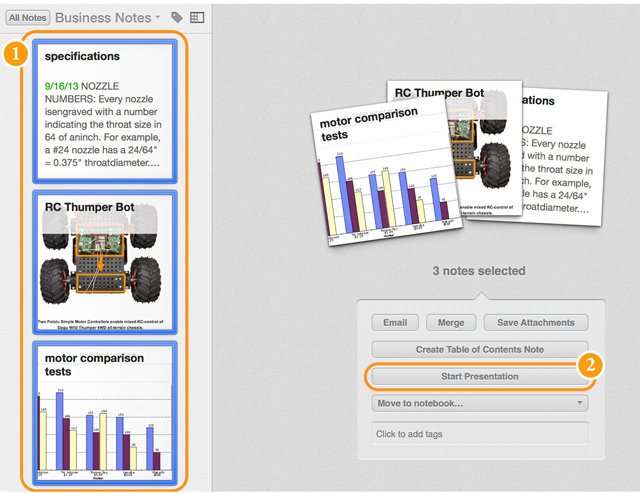 Presentation Mode - present right from Evernote. Your notes become your presentation slides. No need to spend time turning your notes into a presentation in something like PowerPoint. Simplify things and spend less time on non-productive tasks. Easy to use too. 5. Business Card Scanning - the Evernote scanner has a nice feature where it scans business cards into a pre-selected notebook and can link it to LinkedIn for more data and information. Now, the Android app can do the same thing using your smartphone camera. Makes it easier to capture contact info. 6. The Evernote edition Scanner - easily scan documents directly into Evernote. You select the default notebook based on the type of item - document, image, business card. You can put them all in the scanner at once and it will sort them automatically. 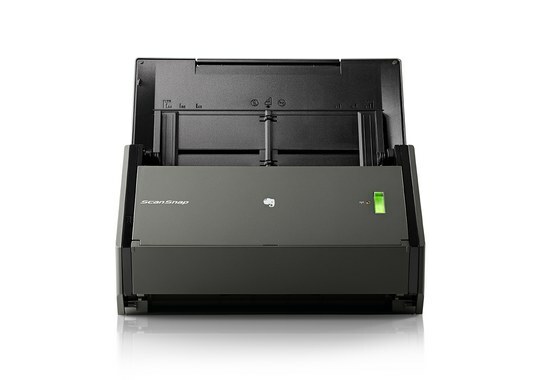 It also does double sided scanning and can work over WiFi. 7. Android App for Chromebooks - Evernote running as an Android App on a Chromebook - easy to use, great features and the best part is that it now has offline sync for accessing your notes when you don't have an internet connection. Very cool. Evernote is my main tool for, well, everything. Check it out.